The SBCI product programme is being made available through a range of bank and non-bank financial institutions. The SBCI provides the same low cost pricing of funds to all its on-lending partners. While the on-lending partners may use different pricing approaches, the SBCI ensures (through detailed monitoring) that the financial advantage of the lower cost funding obtained by the on-lenders is fully passed on through the SBCI loans provided to eligible SMEs. Please see contact details below.  We are also happy to partner with additional on-lenders who are not banks or financial institutions on equivalent conditions in areas in which we have existing partners, offering for instance favourable lending terms and conditions to SMEs for vehicle hire purchase, leasing, fleet management, office equipment finance, as well as in other areas and for other investments of importance to SMEs. AIB is available for SBCI loan enquiries through its network of branches and dedicated SME line. Click business.aib.ie/branch-locator to find your nearest branch or call 1890 47 88 33 Monday – Friday 08:00-21:00, Saturday 09:00-18:00. Bank of Ireland is available for SBCI loan enquiries through bbsbci@boi.com. Please visit bankofireland.com/sbci for further details. Finance Ireland Leasing is available for SBCI leasing/hire purchase enquiries through info@financeireland.ie. Please visit www.financeireland.ie for further details. Ulster Bank is available for SBCI loan enquiries at 1850 211 690 (Republic of Ireland). Please visit ulsterbank.ie/SBCI for further details. Bibby Financial Services Ireland is available for SBCI invoice finance enquiries at 01 297 4911. Please visit bibbyfinancialservices.ie/sbci for further details. FEXCO Asset Finance is available for SBCI asset finance enquiries at 1890 800 404 or fexcoassetfinance@fexco.com. Please visit fexco.com/asset-finance for more information.